It's no secret we have a thing for hunting out the coolest pieces in stock on Forever 21's site (if you haven't heard of the "Forever 21 fix," then we recommend informing yourself), from the time I wore head-to-toe items from the mall store and when I swapped all my designer workout clothes for F21 picks to our editor Lauren Eggerston's weekly new arrival picks, we've learned a few tricks to shopping the inexpensive site. Whether you shop at Forever 21 on a regular basis or, on occasion, there are certain tricks every shopper should keep in mind. From using social media to stay ahead on what's in stores to expertly browsing the fast-fashion company's website, we're sharing seven foolproof ways to score the best items at Forever 21. Keep reading for our savvy Forever 21 shopping secrets. 1. Shop the best-sellers section. Located a few scrolls down, the best-sellers section curates the most coveted items available on the site. Here you'll find a mix of on-trend and everyday essentials Forever 21 shoppers can't get enough of. Avoid the chaotic nature of shopping at the mall and mine through F21's site or app instead. This less stressful way of shopping will lead you to the freshest items and inspiring outfit ideas. Make note of the brand's contemporary section; we always spot the coolest pieces there. Since we already mentioned shopping online is key, now it's time to learn how to efficiently navigate the site. Narrow down your shopping selection by searching for exactly what you need. Say you're looking for a new striped shirt: Instead of clicking straight to the shirt section, use the site's search tool to pull up exact or similar results. Fun fact: Forever 21 has a really solid striped shirt selection. 4. When in doubt, buy black. Compared to a bright color or busy print, opting for an item in black will ultimately make the piece look more expensive than it really is. This savvy shopping tip will surely trick your friends the next time you answer, "It's from Forever 21." 6. Browse the #f21xME hashtag. Take a browse through the brand's #F21xME hashtag for shopping and outfit inspiration. We promise you'll spot items you may not have seen while browsing the site or store. 7. Don't overlook the accessories section. 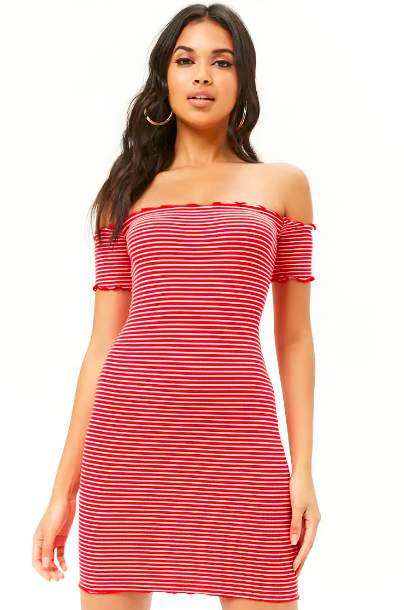 Search beyond cute tops and dresses the next time you're browsing Forever 21, and take note of the impressive accessory options. From simple gold studs to on-trend hoops, there's something for everyone. Intrigued? Now read about how to score the best items at Zara.